Ask anyone working in healthcare if they understand the hazards and risks to health and safety form the use of needles and sharp instruments (known as sharps). They’ll tell you that it’s all about taking care with sharps, putting them in sharps containers and treating the full containers as clinical waste so that no one suffers physical injury or is put at risk of long and short term infection. Prompt them further and they may tell you that even though this is common sense it is also a legal requirement. On both points they are correct. The Health and Safety (Sharp Instruments in Healthcare) Regulations 2013 implement a European Directive aimed at preventing injuries from sharps. But the Directive and the Regulations require a lot more than the simplistic approach set out above. If you use sharps can you be sure that you know the full extent of the requirements, your duties? If there was an incident and you were challenged could you show evidence of managing the hazards and risks or compliance? Could you confidently answer the questions set out here? Do your procedures and arrangements deal with all sharps included in the legal definition? Sharps include objects or instruments which are able to cut, prick, cause, injury and or infection in the course of healthcare. They include knives, scissors, scalpel blades, hypodermic needles, pointed forceps, and even broken glass. Do your procedures and arrangements include the protection of non-medical staff who might be exposed to risk? Your arrangements must include contractors working at the premises if they could be at risk of sharps injury whilst on the premises or working under your control. Do not forget to include cleaners, laundry workers, caretakers, agency nurses, waste disposal workers, locum doctors in your arrangements for training and protection. Have you taken action to identify where you could avoid the use of sharps? Needles, scalpels, etc. are essential tools for effective medical care. Sometimes however, they are used where it is not necessary, e.g. collecting urine samples from catheter bags and blades used to open packages simply because they are to hand. Suppliers are always developing and improving equipment to make tasks safer, simpler, quicker and more accurate. There’s an obligation to keep abreast of these developments and consider whether it would be reasonably practicable to take them into use. Have you considered the use of safer sharps? Do you have good reasons for not using them? If it is not reasonably practicable to entirely avoid the use of sharps do you use safer sharps where that it is a reasonable option? Safer sharps incorporate features to prevent or minimise the risk of accidental injury. There are, for example, syringes and needles which use a shield or a cover that will protect the needle after use, scalpels with retractable or sliding shields and safer suture needles. Have you prohibited the recapping of needles? Injuries can occur after a needle has been used if the worker holds the needle in one hand and attempts to place a cap on the needle with the other hand (so-called two-handed recapping). 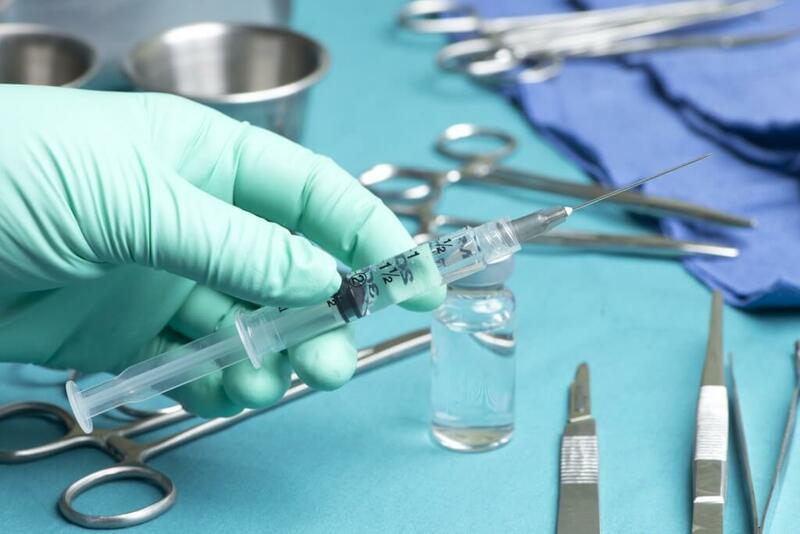 Needles should not be recapped after use unless a specific risk assessment has identified that recapping is itself required to prevent a greater risk (eg to reduce the risk of contaminating sterile preparations). These situations will be very limited and in each case appropriate measures to control the risk of injury must be in place. Have you provided secure containers and instructions for safe disposal of sharps close to the work area? You must make arrangements not only for the disposal of contaminated and clinical waste but also provide clearly marked and secure containers wherever sharps are used. Instructions to staff must be displayed. Sharps bins should be next to the healthcare worker so that the used sharp can be dropped into it immediately after use. Full containers should be moved to a safe storage area, not pushed to one side in a clinical area where it could be accidentally knocked over or otherwise damaged. A sharps bin should never be left where (it has happened) a child could reach into it when the doctor or nurse is distracted. Staff involved in home visits must always take a sharps bin into the consultation so that sharps are not left in the home or dropped whilst leaving or otherwise put anyone at risk. Have you provided information and training? arrangements for health surveillance and other procedures. Have you made arrangements to be followed in the event of injury? Employees must know what to do should they or another person suffer a needle stick or sharps injury. Every practice must have procedures for an effective and timely response should an injury occur, including injury to staff during home visits. are offered post-exposure prophylaxis and any other medical treatment, as prescribed. The need counselling must also be offered in appropriate cases. Details of all incidents must be recorded and investigated, lessons learned and demonstrable action taken to prevent a recurrence. Do you routinely review practice procedures? Review is a legal requirement. It is also common sense. Room use changes, staff change and new products and procedures become available. Do your arrangements still reflect your practice, have all current staff been trained in practice procedures, is there anything new that could lower or remove the risk? Behind the fairly straight forward approach of preventing a needlestick or sharps injury there’s a lot of detail required. Peninsula’s BusinessSafe clients have access to detailed advice and guidance on this and all other issues related to health and safety at work. They can also call on our health and safety consultancy team for help or contact our 24 Hour Advice Line, 0844 892 2785, if you think we could be of help.